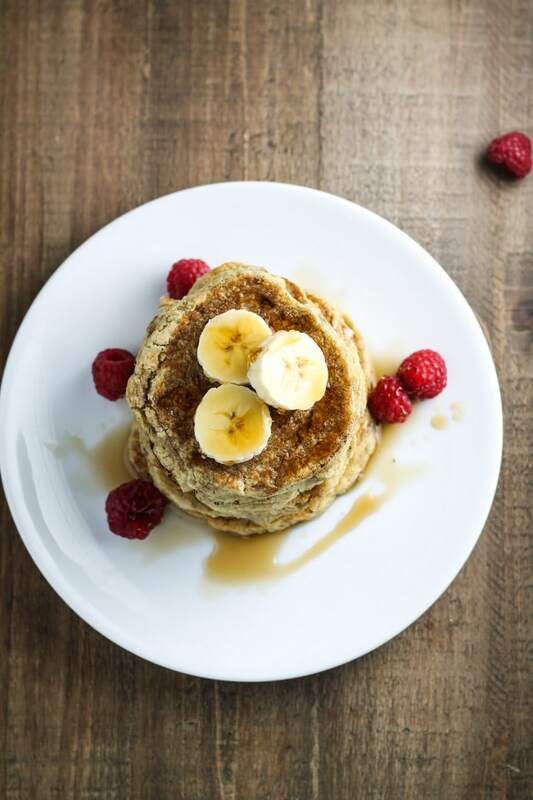 With only a handful of ingredients, these Low FODMAP Pancakes with Raspberries will quickly become a breakfast favorite! Although I typically crave more savory breakfasts, like Low FODMAP Fajitas Migas, every once in a while I want something sweet. 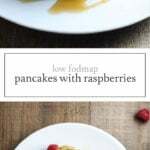 And, these Low FODMAP Pancakes with Raspberries fit the bill. Not only are delicious, but they also require only a handful of ingredients that I typically always have on hand! 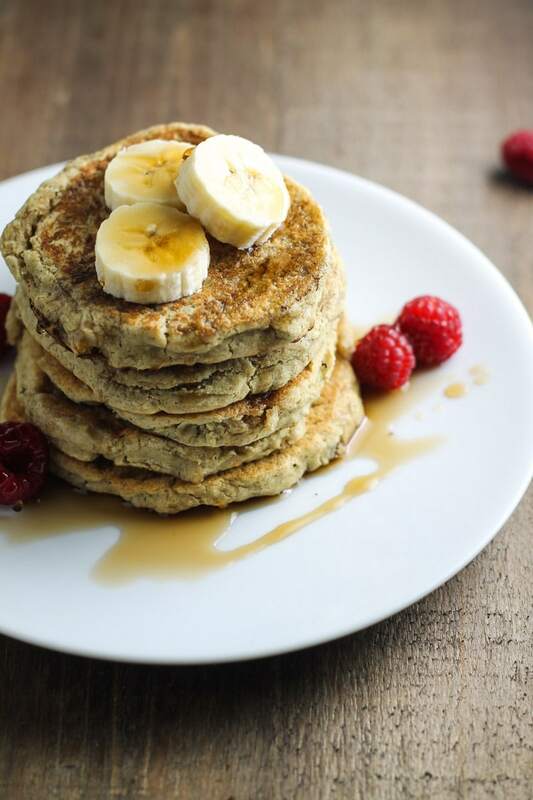 Place bananas, eggs, and flour in a blender. Cover and blend until smooth. In a large skillet, heat coconut oil over medium heat. Once hot, scoop 1/4 cup portions of batter into skillet and cook for about 2 minutes per side, or until done. Remove from heat and set aside. Repeat with remaining batter. Top pancakes with maple syrup, raspberries, and optional banana slices. Bananas: A low FODMAP serving is 1 medium or 100 grams unripe (green to just yellow) banana. Ripe (yellow to brown) bananas are not considered low FODMAP and may trigger symptoms in some individuals. 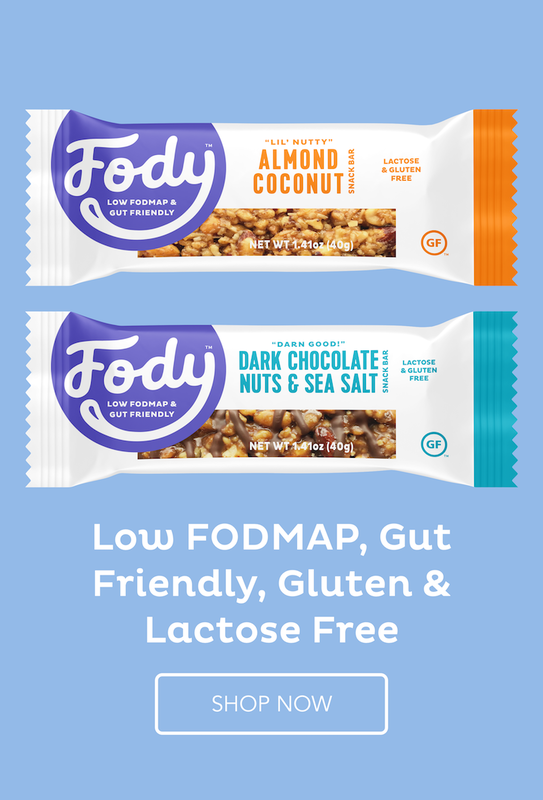 Avoid ripe bananas if on the elimination phase of the low FODMAP experiment. Raspberries: A low FODMAP serving is 10 raspberries or 45 grams.